There is a saying in Germany about the living in good conditions which says: „Living like the king of France“. Those who have been to China and having joined Chinese meals know that “one can eat like the Emperor of China”. To eat in China, to enjoy the countless dishes, one can get a slide impression of what this saying “eating like the Emperor of China” means. …….The last time when I was in Shanghai I often was invited by my clients to have dinner with them. With a smile on their faces they said that you could get different meals for breakfast, lunch and dinner, different on each day of the year. And even more, compared to the variety of the dishes, of the different parts of China. Yes, I really enjoyed and I can’t find sufficient words to describe what I experienced while eating. Who is sitting at the table gazed at the various dishes, which were brought to us, dish after dish. We tasted a little of each dish, tried another one, looking already on the new one to come. 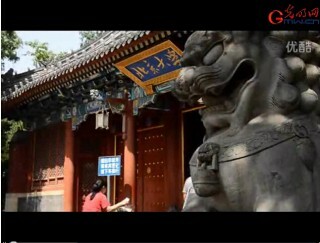 Some days ago I was informed by a Chinese colleague about a nice little video which is called “A bite of Beijing”. It looks like an invitation, made by Chinese students, an invitation to the canteen at the Beijing University. And to be honest, it feels like an invitation to the Emperor’s kitchen, the Emperor’s way of eating, the Emperor’s way of enjoying life. So, just have look and enjoy.